According to Medpage Today and Stat News (yesterday), as well as an official announcement from the FDA today, the FDA has opened a public comment period for a new rule which would lower the nicotine levels in cigarettes to “non-addicting” levels– 0.3-0.5 mg/gram of tobacco. Cigarette fiends will find this proposal shocking if not actually heartbreaking. While this idea is in line with the new administration’s starkly regressive anti-drug policy (illustrated by the comments of Attorney General Sessions about the KKK), it may find resistance from personal-liberty advocates like libertarians. On the other hand, public-health activists are sure to celebrate the prospect of a new Prohibition. Theoretically, removing nicotine from cigarettes could save millions of lives over the next ten years. Statistics published in the Stat News article claim that the present number of smokers (about 15% of adults in the US) could be reduced to 1.4%. This is a great idea, but it ignores the lessons of Prohibition. Mandating emasculated cigarettes would instantly stimulate a black market in high-potency smokes. Just ask anyone who has tried to quit smoking. The lack of availability of sufficient nicotine to relieve withdrawal symptoms would result in cravings, with mood and personality disturbances like intense irritability, periods of obsessive rumination about obtaining a supply of nicotine-laced smoking materials, and aggressive attempts to obtain those materials. The only way this could work is for all tobacco companies to gradually reduce nicotine content simultaneously, so that orderly withdrawal could take place. Experience with other substances like opioids suggests that an addicted person could tolerate a five percent reduction in nicotine ingestion per week… but due to the nature of the source, victims are likely to try to smoke more and develop unnatural hoarding behaviors. 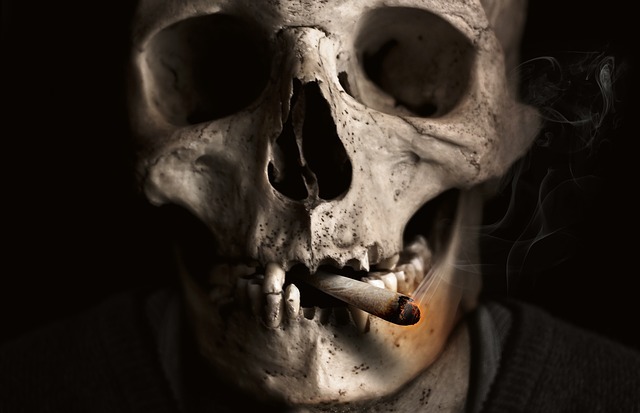 Past experience with low-nicotine cigarettes (such as those that have holes in them to dilute the smoke) shows that users will smoke more, inhale deeper, and retain the smoke in their lungs longer in an attempt to compensate for the lack. All in all, I rate this as A Bad Idea. There are few Good Ideas available in relation to the use of poisonous, addictive substances by the general public– particularly widely-available substances.